A restraining order, also referred to as an “order of protection,” is a court order that restricts an action or prevents one person from contacting or harassing another. 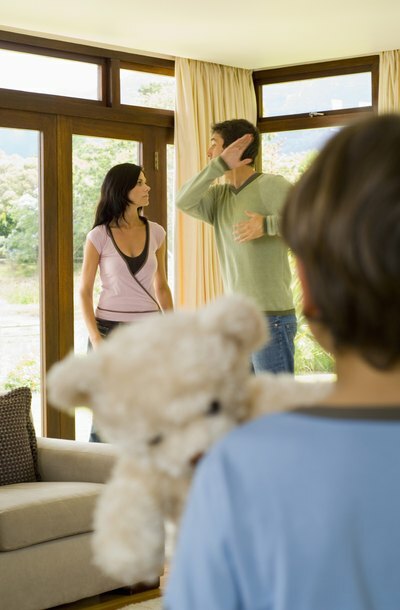 You may request a retraining order in a divorce proceeding to protect yourself and your children from physical or psychological abuse or to prevent property loss and destruction. You may request a restraining order for other reasons as well. The type and duration of a restraining order may vary from one situation to another and from state to state. The court may enter a restraining order when you can prove actual recent or threatened violence against you or your children such that you fear for your or their safety. A restraining order may prohibit your spouse or former spouse from abusing, contacting, harassing, threatening or communicating with you or your children. It may also force him to move out of your home, prevent him from owning a firearm and force him to stay away from your place of employment or your children’s school. If you or your children are in imminent danger during a volatile situation with your spouse or former spouse, you may request an emergency restraining order from an arresting officer, who may contact the court for authorization and assistance. Restraining orders may also be obtained due to psychological abuse. When an estranged spouse continuously degrades you or attempts to unreasonably control your actions, turns your children against you or threatens harm to you or your loved ones, it is considered psychological abuse. When this type of abuse is so prevalent against you that it interferes with your daily life or your ability to do your job, the court may enter a restraining order. You may request that the restraining order prevent all contact whether by mail, phone, email, gift delivery or through third parties. If you can prove that your estranged spouse is in the process of moving or hiding money or depleting or destroying assets to prevent you from acquiring your fair share, the court may enter a restraining order to prevent further action on her part. A restraining order may also be obtained in some cases against a third party that holds an asset, such as a bank or other financial institution, to prevent it from assisting your spouse in disposing of marital assets in its possession. Although not as common, and unrelated to divorce, you may obtain a restraining order during a patent and trademark infringement lawsuit. If another party is using, selling or manufacturing an item that you invented and have patented or using a logo that you created and trademarked without your consent, he is infringing upon your ownership rights. If you sue him for this infringement, you may ask the court for a restraining order to prevent his continued use, sale or manufacture of the patented or trademarked item while the lawsuit is pending. If your patent or trademark was acquired in the name of your corporation, limited liability company or other legal entity, the company will generally be the one suing and acquiring the restraining order. You may request a restraining order as part of the initial pleadings or complaint in your divorce case. In an emergency situation, however, you could petition the court separately and include a request for an emergency hearing to bring the issue before the court. Once the court has issued a restraining order, it must be properly served upon the accused to remain effective. A restraining order may be incorporated into a divorce decree or entered as a separate order. Many states also require that domestic violence restraining orders be registered with the local sheriff. In the case of patent or trademark infringement restraining orders, the person seeking the restraining order will likely be required to post a bond in an amount sufficient to cover any damages, including lost profits, in the event the restraining order is set aside.